Today I’ll be in Palmerston for a book signing, featuring my newest book, Piece by Piece, and I’ll have copies of my other books along too. This book makes a great gift for a mother, grandmother or friend. You can treat yourself to a new book to read as well. Glynis Belec, from Angel Hope Publishing, will be joining me for this event at Family Home Health Centre on 237 Main Street West in Palmerston. From 11 am-3 pm. We have small treats and a draw prize, and you can get your book signed too. Time to get ready, hope to see you there. And I will be at the Tavistock Fall Fair in September. More news on that one later. All of my books available at this event. Having a new book is very exciting. A lot of work goes in to getting it this far, including years of writing, then editing, revision and even more editing. Once the book is about to be released comes the task of letting people about the book and when it’s printed, getting it into other people’s hands. That can be fun or it can be daunting. My book contains many stories about experiences, both good and challenging or sad. Everyone has those times. I share how it’s been for me. Go about life as positively as you can. Gather the support of friends who can help you get through the tough times, know who you can lean on. And remember to celebrate the joys and achievements no matter how small. And know that God cares about you in all those circumstances. 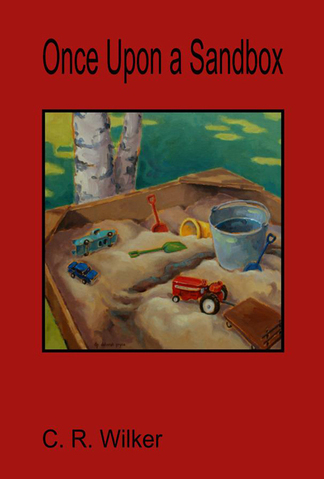 My book published by Angel Hope Publishing, Drayton, Ontario. Book events coming up. I’ll list them in a follow-up post. Today my publisher and I made the last few scans of the pdf for my book, Piece by Piece. We’d done the careful combing through more than a week ago and further refined some pieces of the text and layout. It’s been another learning experience about the way a file of content goes and also working with the printer to make sure everything is sitting well and ready to go to print. It’s best to take that extra few time to look over the manuscript and make sure everything is as it should be. Fortunately I have a good publisher at Angel Hope Publishing who knows the program and how it should work. Glynis also has an amazing daughter, Amanda, who helps her with the graphic design part of the process. Piece by Piece is a narrative on life with family, friends and the world around us with all its twists and turns, sorrows and joys. Sometimes resembling pieces of a quilt that make up a harmonious whole. This morning I posted at The Word Guild blog as I usually do once a month. I took my two oldest granddaughters to the movies during the Christmas vacation, an event we all enjoyed. During the recent holidays I took my nine- and seven-year-old granddaughters to see Mary Poppins Returns. In anticipation, them with popcorn in hand, one asked why we were there so early, the other answering her question, to be prepared. “At some movies, there’s a line-up of people,” I said. Indeed the popcorn was disappearing into their mouths as we waited to get into the theatre. We talked about other movies going on there and about waiting until the staff was done getting the space ready. (How much popcorn lay on the floor?) It seemed like we were the only ones at that door, a bit surprising after all the previews for this movie. The clean-up was done; we could go in. We’d talked about where we’d sit — not too close to the screen or at the back. Now it was time for them to choose the row. One wanted the aisle seat and so we found our place. Here we sat in a quiet and empty theatre, me and my granddaughters. They wondered if others were coming. I said I was sure more would come and speculated that the theatre might not be full (which turned out to be true). Most of their popcorn and drink was gone by that time. The girls had counted rows and seats across the middle. I didn’t expect them to sit still just yet or to be perfectly quiet. The popcorn and drinks diminished even more. Would we have to make an exit to the washroom in the middle of the movie? No, it happened before, while previews played and the feature was not yet begun. First I’ll declare outright that I am a grandmother. Have been for awhile and our count is up to five. I don’t have to raise them or pay attention to their financial keep. But I can spend time with them and I enjoy being with them. We bake cookies together, plant garden in season. We play, read and do puzzles together. Those things I like. And recently we had a cookie decorating session, with plenty of icing and add-on decorations. When we dare to sit with our small grandchildren, we learn a little about what they’re thinking. When we engage with their play, they learn too. We have no guarantee how much time we’ll have to enjoy these young ones and so it’s a good thing to build the relationships at an early stage. It builds trust too. There’s no doubt that it takes energy to play with them, especially the smallest ones, but the time we spend together and the smiles make it worthwhile. I’m grateful that my grandchildren all live in the same city. It takes only minutes to get there. We get together for dinner, for play and special celebrations. I look forward to spending time with them at Christmas, to see the delight on their faces as they open their gifts from us, for the hugs too. And today we will go to the older grandchildrens’ school for the holiday assembly. We sit back and watch them perform and then see their surprise when they see us on the way out. Blessed beyond measure. On one of our vacation days in the Kawarthas, we stopped at the Petroglyphs Park, had our picnic first and then went into the education centre to learn more about it. While our daughter and son-in-law went to take the picnic stuff back to the van, the girls found a small caterpillar. They named it and pretended that it was their pet. When their parents returned they held the stick by the tree where they found it and let the caterpillar off the stick. We were ready to tour the centre. We walked on down the path to the Petroglyph display. I was not prepared for what I saw, a large building surrounding the rocks, a place where we dared not take photos, so I kept my cell phone tucked away. Large windows let in natural light and the building is there to protect the art from eroding further. Our granddaughters were invited to make rubbings with crayons of various shapes of the art in the teaching rocks and take them home. After our tour of the learning rocks we left that area of the park and stopped at a different place where we took a short hiking trail. McGinnis Lake where we took photos was a certain kind of lake with layers of oxygen concentration. I didn’t have time to read the whole sign so I took this picture instead, to read later. This park was well worth the time and one could spend quite a bit longer in the centre viewing the displays, asking questions of the guides along with seeing the video shown in the theatre. Outdoors there were more places and paths to explore. We’d covered about as much as we could with the children who needed to move around more. That said, I believe they enjoyed certain parts of the adventure that day as well, even if we’d had a bit of a ride to find a place.